There’s so much that’s wrong with this. Community leaders believe the four lanes of Texas 130 will spur growth — despite what is expected to be a charge of about 15 cents a mile to drive on it. The tollway, which will link Lockhart to Austin to the north and will provide a much faster route to San Antonio to the south, has drawn the attention of a handful of developers, but no dirt has turned yet. But as shown by the short history of the existing 49 miles of Texas 130, which loops east of Round Rock and Austin and opened in sections between 2006 and 2008, the presence of a tollway does not guarantee instant development. Drive that road today and, aside from concentrations of housing and retail in Hutto and Pflugerville and the nearly finished Formula One racetrack, most of the road is flanked by empty land. And those two communities, given their proximity to Round Rock and the thousands of Dell Inc. jobs, were already booming before Texas 130 and nearby tollways Texas 45 North and Loop 1 opened. Caldwell County, at least at this point, has no such employment base. Not yet, anyway. Caldwell County Commissioner John Cyrier, who runs an Austin commercial construction company, said bringing that first big employer to the county is the key. An 85 mph tollway could help with that, officials say. Those rooftops, of course, would come with people, and traffic, and all sorts of change. Lockhart, at least compared with the astonishing growth of other towns ringing Austin, has been a tranquil island of stability. Its population grew just 9 percent between 2000 and 2010, to about 12,700. 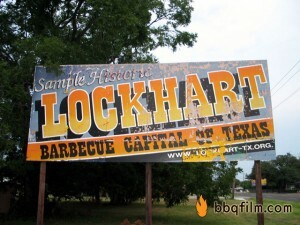 And the biggest reason to visit Lockhart remains its brisket, ribs and sausage. “I think people are very optimistic about it,” Cyrier said of the expected growth. “They’re wanting the quality of life, and the jobs to come. They’re tired of their grandkids going away. Jeff Gibeaux, a civil engineer and downtown Lockhart developer who has lived in the city for 20 years, said the more dominant reaction among locals is skepticism that significant change is on the way. After all, Lockhart is about the same distance from downtown Austin as Hutto, Georgetown, Leander and Bastrop, yet unlike those towns has never taken off as a bedroom community. Which is precisely why, Gibeaux argues, that with Texas 130 in place, his town and Caldwell County probably are about to boom. “As I tell people, it’s the last piece of pie in the dish,” Gibeaux said. “You can’t go anywhere else” with development. It’s sprawl in its embryonic form. I understand why Lockhart wants to grow – many small, rural towns have been steadily losing population to the cities and suburbs – but boy is it hard for me to see how being a 40-mile commute on a toll road will bring the masses in. Maybe that’s just me, though. Of course, you can go elsewhere with development, just not this kind of development. That’s more of a subject for places like Austin and San Antonio to address, however. I’m dubious about all this, but check back in 20 years and we’ll see who’s right. On a side note, the way this toll road came to have an 85 MPH speed limit was dodgy. Before construction on the toll road stretch began, U.S. Highway 183 in the county was a four-lane road. The road had a posted speed limit of 65 mph and a reputation for accidents. Now U.S. 183 will serve as the frontage roads to the new toll road with two one-way lanes on each side. Though it’s widely considered safer than the older road, TxDOT has set the speed limit for the new U.S. 183 through Caldwell County at 55 mph. The news of the lower speed limit designation for U.S. 183 has been “the talk of the town,” said Caldwell County Judge Tom Bonn. For three years, local residents had patiently put up with lower speed limits because of construction and had assumed that the 65 mph limit would return once the project was completed, Bonn said. He believes that the speed limit was set at 55 mph to encourage drivers to use the toll road. Furthering suspicion is a report by the Austin American-Statesman noting that the speed limit was chosen based on a trial run conducted last year by an engineer hired by the SH 130 Concession Company. TxDOT declined to comment on why a TxDOT engineer did not perform the test. Chris Lippincott, a SH 130 Concession Company spokesman, said a lower speed limit is prudent considering the economic development that the toll road will draw to the frontage roads. Local elected officials are skeptical. 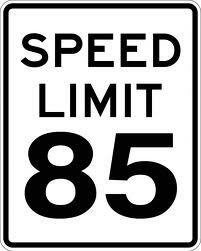 Both the Caldwell County Commissioners and the Lockhart City Council have passed resolutions calling on TxDOT to return the U.S. 183 speed limit to 65 mph and offer a discounted toll rate for Caldwell County residents that have to commute to jobs in Travis County. Members of the Legislature are also hearing complaints about it. The profit motive sure does skew these public infrastructure projects, doesn’t it?